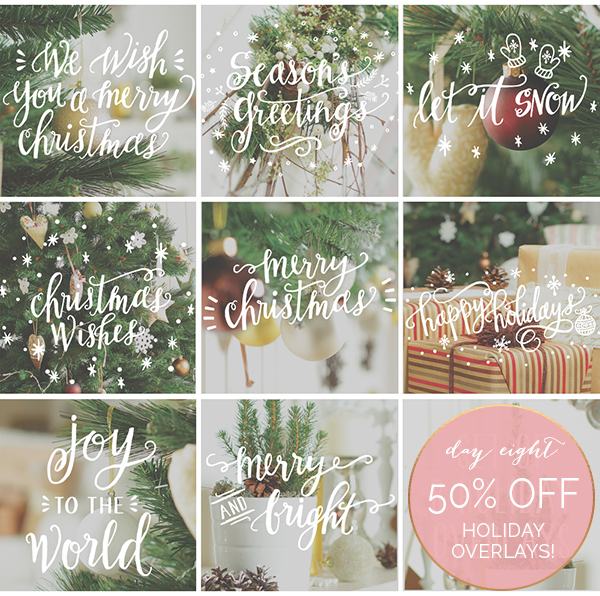 All Holiday Photo Overlays are 50% off until Saturday Dec. 20, 2014! See them here! Offer ends 12/20/14 at 11:59 PM PST. Our 12 Days of Christmas sales are not valid with any other discounts, offers, or store credit. Offer is not applicable to previously placed orders. Online price reflects discount, no coupon code required.